Moving on from the "where" to place the layout, I next had to consider scale, time frame and size. The scale issue was pretty much a no brainer for me. 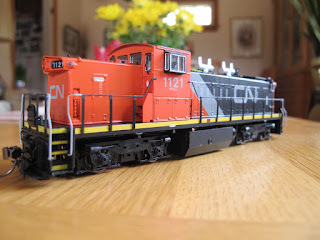 With my challenged senior eyesight Z and N scale were right off the map. 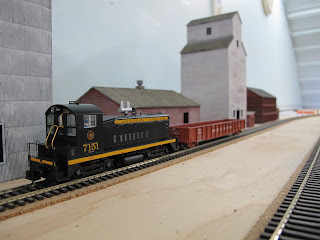 Don't have the room for O or G scale, so by default that lands me at the doorstep of HO scale. The size is doable. I can still read most of the lettering on the sides of rolling stock, save for the really miniature stuff. 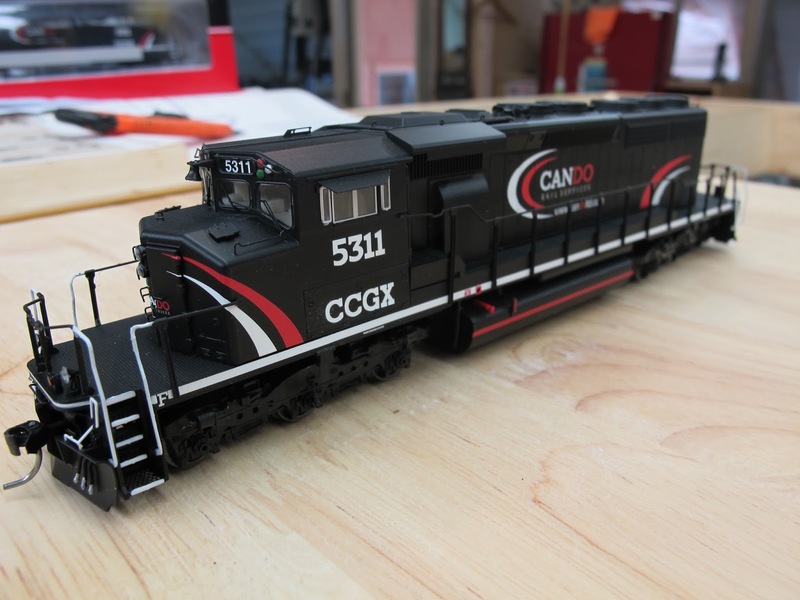 With this scale there is probably the most selection out there, be it locomotives. rolling stock, structures, you name it. 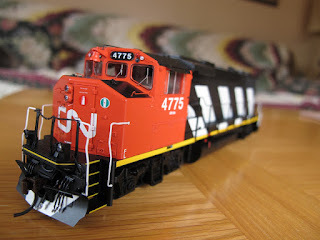 Speaking of HO scale locomotives, here are a few of mine that I picked up awhile back, the detail is amazing. 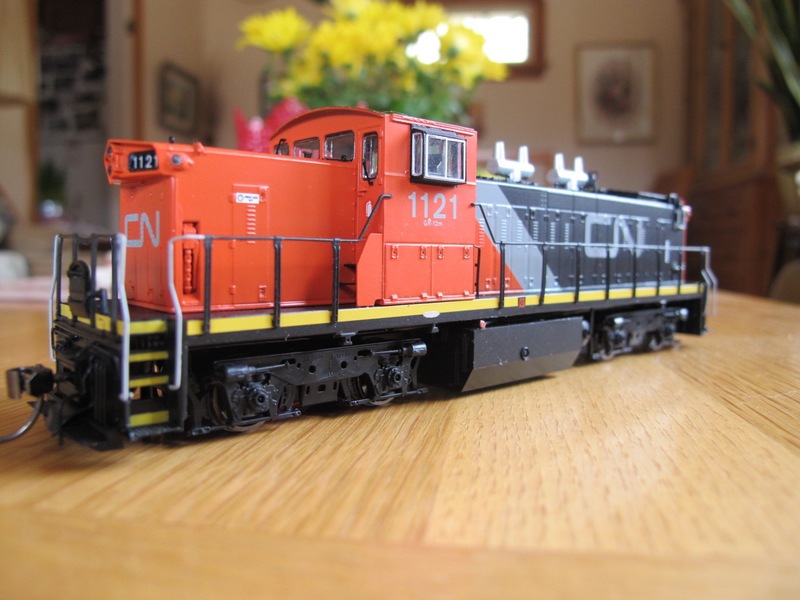 The Athern Genesis GP38-2w and Rapido GMD-1, both with DCC/sound. They weren't like that 40 years ago that's for sure. 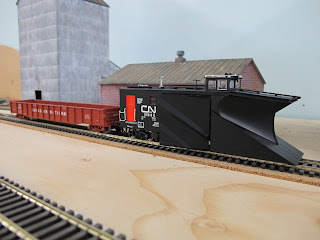 All locos have DCC/sound, there are no other options..period. I have an RDC and another GMD-1 on order from Rapido. I have a real soft spot for switchers. The time frame chosen will be mid 70's to late 90's. using the CNR and CEMR. It's what I grew up with and most familiar. 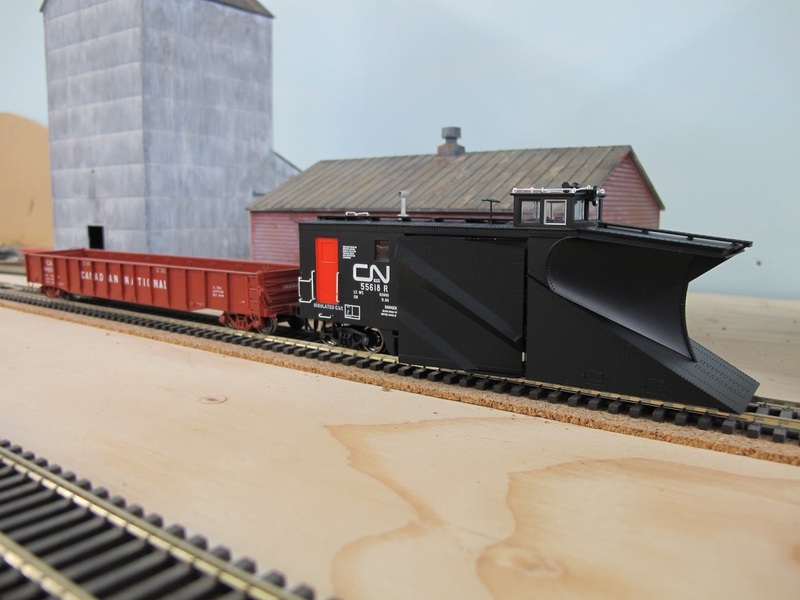 So whatever CN and CEMR ran in that time period will be fair game for the Harte Siding. Doesn't matter when it was actually manufactured, so long as it was running in that time period, good enough for me. As far as DCC w/sound, or DCC or DC. I like the ability to be able to control 2 or more trains on the same track, and not have to worry about section blocks and all the nightmare of wiring that goes along with DC control. And sound just adds to the atmosphere. Advice from many long time master modellers....don't cheap out on locomotives. Buy the best there is at the time, and Athern Genesis and Rapido are right up there, but not cheap. What size to build the layout? Most advice I received was to build small to medium size first time around. With a definite caution not to do 4'x8' plywood table affair. Best bang for the buck seemed to be around the perimeter of the room, with a peninsula at most. Build it semi modular benchwork and then it can be expanded at a later date. So.... around the room it is. That was easy. 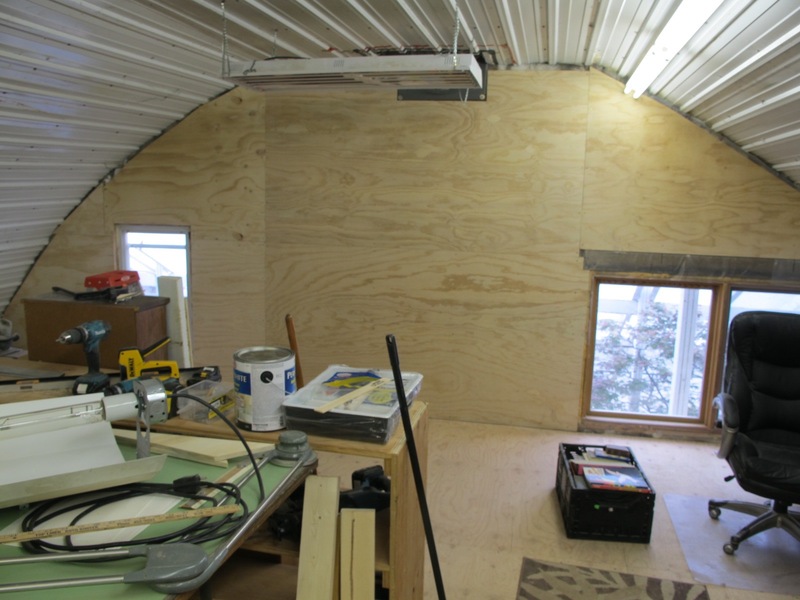 Given my rough dimensions in the hayloft, I have an approx area of 20'x48'. This looks to be the right location, up against the south wall, (painted light blue of course). Some of the existing lighting will have to be repositioned and add some LED track lighting as time and funds permit. So there we are...the, 'where, scale, time frame and size' answered, for the meantime.